2014 Olympian Polina Edmunds was on the cover of the December SKATING magazine, but we could only fit so much of her shoot into print. If you don’t subscribe to SKATING, here’s a peak at what you’re missing out on each month! All photos by Hans Rosemond. 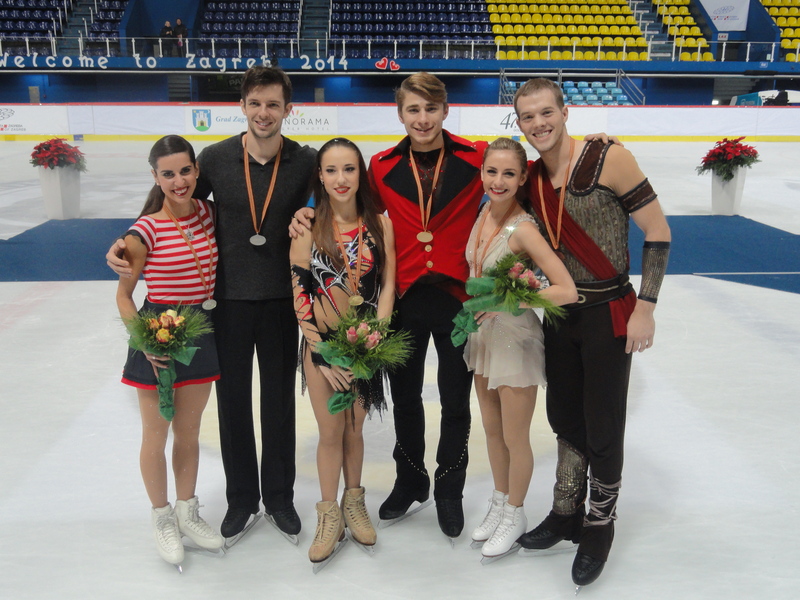 BARCELONA–Competition concluded today atthe 2014 Grand Prix Final with Team USA coming away with two medals. Ashley Wagner moved up from sixth place to win the bronze medal, while Madison Chock and Evan Bates won silver in their Final debut. Wagner has now medaled at three consecutive Grand Prix Final events. She was just .25 points under her international personal best free skate score (her free skate earned 129.26 points today). The Moulin Rouge program featured a clean triple flip-triple toe combination while Wagner also tried a triple loop-loop-triple Salchow for the first time. While the Salchow was scored as under-rotated, Wagner noted the importance of competing the program with the element before next month’s U.S. Championships. Wagner also got a great boost of confidence by rebounding after her short program, in which she missed the flip-toe combo, and getting onto the podium alongside Russia’s Elizaveta Tuktahysheva and Elena Radionova. Her total score equaled 189.50 points. Chock and Bates rebounded from a fall in yesterday’s short dance to put together a strong free dance. While it wasn’t their highest score of the season, at 102.03 points, the duo felt it was their best overall performance to date. 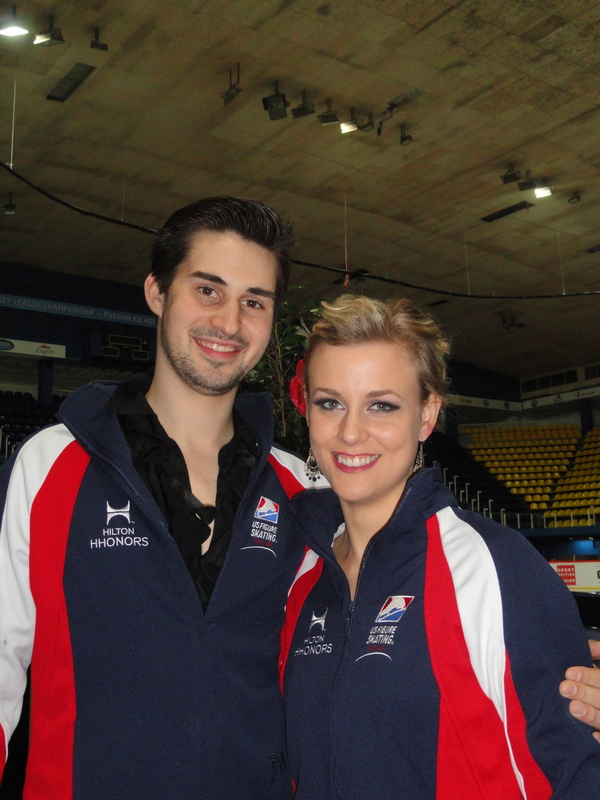 Their total score equaled 167.09 points and they finished behind Canada’s Kaitlyn Weaver and Andrew Poje. Maia Shibutani and Alex Shibutani finished fourth in their second career Grand Prix Final (also 2011). They received a standing ovation for their waltz-inspired free dance and earned a total overall score of 158.94 points. On Friday, Team USA’s junior pairs team Chelsea Liu and Brian Johnson finished sixth. Universal Sports will air the pairs free skate and free dance from 4-7 p.m. ET Saturday, while NBC will air competition highlights from 4-6 p.m. ET Sunday, Dec. 21. Team USA will now turn its attention to the 2015 Prudential U.S. Figure Skating Championships set for Jan. 17-25 in Greensboro, North Carolina. (on free skate) I think that’s a personal best for me. The short program was not what I wanted to put out but that long program, there was a lot of pressure on it to be a good performance. It goes to show that I am capable of being competitive with these stronger technical skaters. My biggest challenge right now is becoming a consistent skater and I need to start putting out short program performances and long program performances like that every time. (please note, Wagner’s international personal best score for a free skate is 129.52 points set at the 2014 World Championships. Today’s free skate score represented a season’s best). This performance showed exactly what I’m capable of. This season has been full of great moments and not-so-great moments so the key to the second half the season is sweeping the not-so-great moments under the rug and bringing out two strong performances. That’s what these competitions are all about. I’m really pleased with today but I have a lot of work ahead of me. (on her fourth Grand Prix Final) I’ve been here. I have a lot more experience in some of these other girls. But quite honestly, it doesn’t get easier the more times you compete at a competition. It’s still stressful and up against a really strong field. I’ve been focusing on getting my technical elements stronger and working on the performance side of my skating. (on her approach to today’s free skate). The great thing about being in last place is that you can’t get any worse than last place, you can only go up from there which definitely helps keep me calm. I think that I’m going to have to use this experience as a learning tool. I need to be able to skate that calmly and confidently at nationals when it really counts for something. It’s all a bonus here but I don’t want to miss out on going to worlds or getting that national title back because of the pressure that I put on myself. (on executing a clean triple flip-triple toe) The good thing about keeping it together is that I had the (triple) loop-half loop-(triple) Salchow ahead so I knew the program wasn’t over yet. The great thing about that program is that the flip-toe and the loop-half loop-Salchow combination are really my two most difficult elements. The rest I have been doing for years and years and years. I can stay pretty calm throughout that program, it’s just two elements with a lot of stress. (on triple loop-half loop-triple Salchow) That was my first time doing it in competition so there were some nerves and some lack of experience to go with it. It’s been in my program for a week before this competition. With more repetition, I’ll be able to get that confidence built up before nationals. (on continuing to compete) People keep asking why I’m sticking around and I have so many people who are doubting if I’m capable of being competitive. This is the way I train at home, this is the skater I am. This is what I know I’m capable of and I know that if I allow myself to skate and train the way I know I can, I will be able to go up against the best in the world. 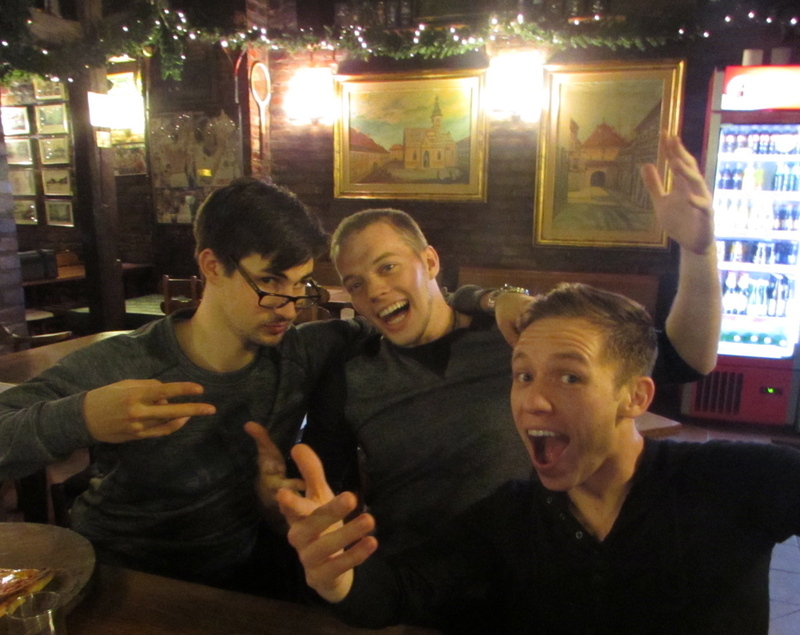 (on free dance) Chock – We had a great skate tonight. 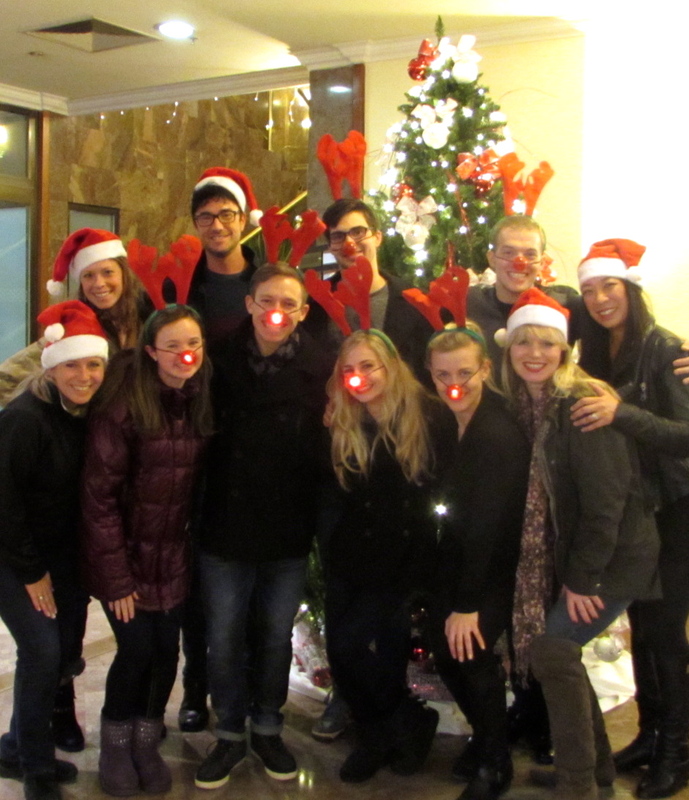 We were very happy with how we performed. We had a rouge skate yesterday so it was nice to finish off the competition this way. It was a lot of fun, the crowd was so energetic. We are so happy to compete in front of such an energetic crowd that was so supportive of everything. Chock – Compared to last night, we feel 100 times better. We felt great out there tonight. We were ourselves and we were in synch. It felt so good to do our free dance. WE had a lot of fun tonight. We skated for our own enjoyment and we’re glad that the crowd enjoyed it too. Bates – We’re going to get some feedback from this event, regroup and prepare for the U.S. Championships in January. I felt like tonight as our best performance of the season, which is really nice, after a tough outing yesterday, to come back strong. That shows resilience and shows that we are a strong team and that one performance is not going to define us as a team. One little back in the road and then we are back on track and now we prepare for the U.S. Championships. 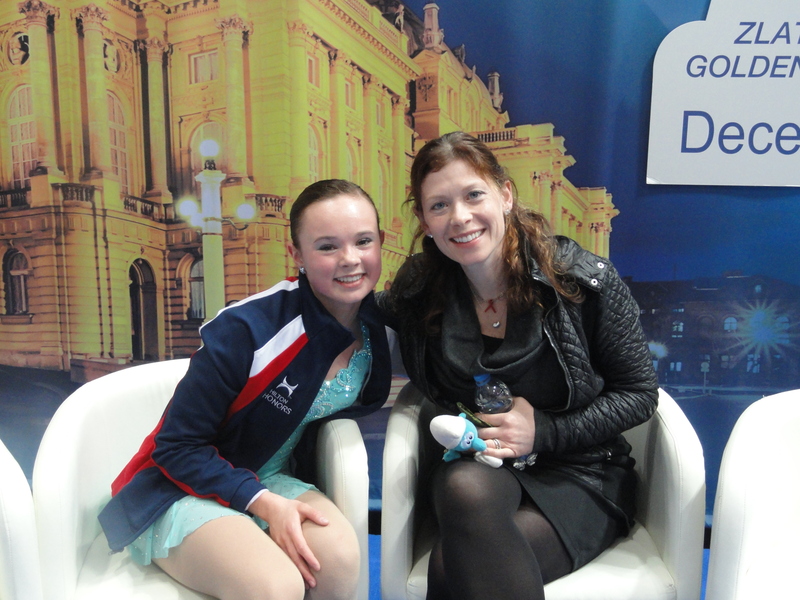 (on competing at the Grand Prix Final) Bates – This week was a huge learning experience for us. We’re going to take a lot away from this that will help us in the future. (on medaling here) Bates – It’s amazing. I think a year ago if you told us we’d be second at the Grand Prix Final, we would definitely both be ecstatic about that. We put in a lot of work this summer so it’s nice to have it pay off. Maia – We were pleased with our performance today. It was our strongest free dance of the season. The audience really connected with it and the standing ovation that they gave us really meant a lot to us, especially when you can’t control the scores. We’re going to take the two strong performances that we had here, go home, train really hard and build for the second half of the season. It was great for us to be back at the Final and we’re looking forward to being here for the next few years. BARCELONA–Competition began Thursday in Barcelona with all four junior shorts and the pairs and ladies short programs. Team USA was represented by Chelsea Liu and Brian Johnson in the junior pairs event, while Ashley Wagner took the ice at her third consecutive Grand Prix Final. Wagner sits in sixth place after missing her triple-triple jump combination but otherwise turned in a strong program. Her 60.24 points are just three out of medal contention after the short program. Russia’s Elizaveta Tuktamysheva leads with 67.52 points while Elena Radionova is in third with 63.89. Liu and Johnson had a bit of a rough outing for their Mary Poppins themed short program. Liu suffered two falls, on the throw and side-by-side jumps, while Johnson only completed a single Lutz in their side passes. His mistake cost the team an extra 1.00 point deduction and their score totaled 39.05 points. Liu and Johnson, who have only been skating together since June, are looking forward to rebounding in the free skate Friday. Leaders after the short program are Canada’s Julianne Seguin and Charlie Bilodeau. For complete quotes from Liu, Johnson and Wager, scroll down. Friday will see the completing of the Junior Grand Prix Final, while the other the dancers will take the ice. Madison Chock and Evan Bates are the event’s number 1 seed while Maia Shibutani and Alex Shibutani will compete at the Final for the first time since 2011. All events will be streamed live on http://www.icenetwork.com, while Universal Sports will air the ladies and men’s short programs from 8-10 p.m. ET. Liu & Johnson (skating 1st) – 12:22 p.m.
Shibutani & Shibutani (skating 3rd) – 2:04 p.m.
Chock & Bates (skating 6th) – 2:31 p.m.
Watch Elizaveta Tuktamysheva’s first place short program for free on icenetwork here. Hola from Barcelona, Spain! The first practice day just wrapped up with all Americans taking the ice Wednesday. While Barcelona is a city of impressive architecture, great food and lots to do, the focus for now is on the competition which will feature the best athletes from the Grand Prix and Junior Grand Prix series. 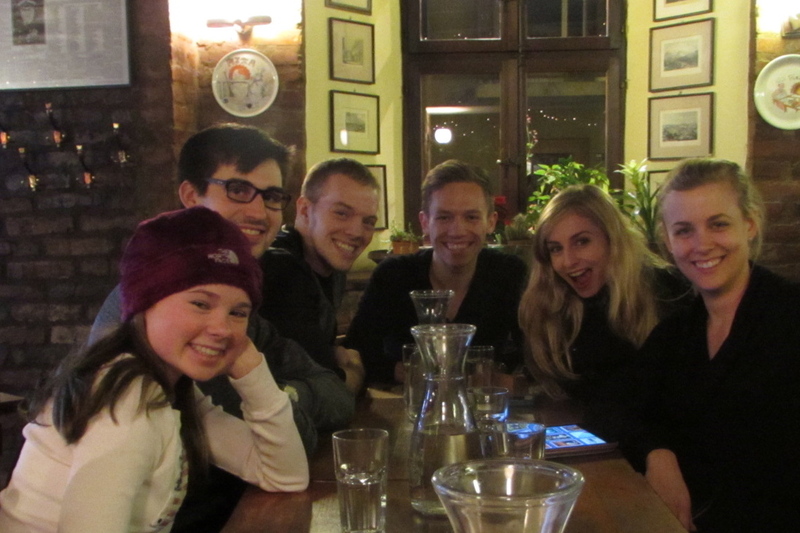 Team USA is represented by Ashley Wagner (ladies), Madison Chock and Evan Bates (ice dance), Maia Shibutani and Alex Shibutani (ice dance) and Chelsea Liu and Brian Johnson (junior pairs). 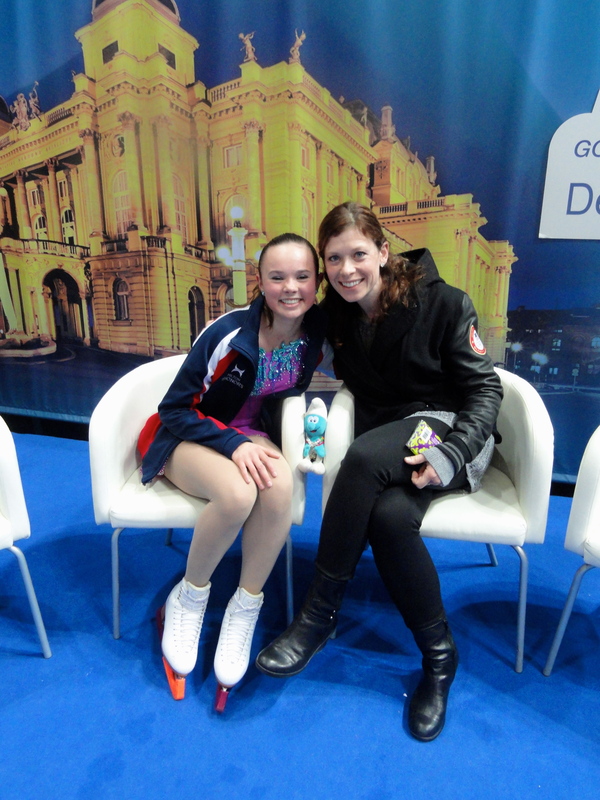 To join the conversation with @USFigureSkating, use #GPF14. Be sure to follow @AshWagner2010, @chockolate02, @MaiaShibutani, @ChelseaLiu2018, @Evan_Bates, @AlexShibutani and @ShibSibs on Twitter! Liu & Johnson (skating 1st) – 11:32 a.m.
Wagner (skating 2nd) – 3:44 p.m.